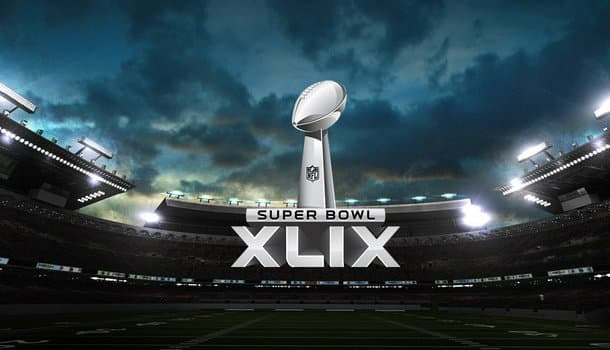 The New England Patriots and Seattle Seahawks will play in Super Bowl XLIX on Sunday. The game will be played at the University of Phoenix Stadium, so weather isn’t a concern like it was last year. You can bet on the Super Bowl at BetOnline and enjoy a bonus worth up to $1000. Not only can you bet on the common straight bet markets, but BetOnline will also have hundreds of Super Bowl props. This game will be played on a neutral field, so the point spread makes sense to me. We keep hearing about Deflategate and I have to wonder if all of the media attention is hurting the Pats this week. Seattle had one of the best playoff comebacks in history against the Packers. Russell Wilson played poorly until the end. He had 4 INT’s, but he never gave up and the Seahawks are now in Arizona. The Seahawks needed OT, but they marched down the field and scored a TD to end the game before GB got to touch the football. New England easily beat the Colts, but it wasn’t without controversy. This is going to be an interesting match-up. It’s hard to forget what the Seahawks did to Denver last year in the Super Bowl, but it’s very unlikely that the Patriots will be blown out of the stadium. Seattle doesn’t score enough and I can’t imagine Tom Brady struggling with turnovers with the way he has been playing the last few months. I also don’t think we’ll see another offensive explosion by NE. New England has scored 80 points in their two playoff games so far, but the Seahawks have the #1 defense in the NFL. It’s going to be tough for the Pats to run or pass the football on this unit. Marshawn Lynch had a big game against the Packers and needs another one here. Lynch will likely get the football a lot early on because I can’t imagine the Seahawks wanting to risk interceptions. As long as the Seahawks defense can hold up against the Pats offense I expect Lynch to get a ton of work. Seattle will be happy to run the football to a Super Bowl win, which I think has to happen. Doug Baldwin and Jermaine Kearse are playing well for there skill level, but neither of these guys are game changers week in and week out. NE will likely try to run as well with LeGarrette Blount. Blount just had a huge game against Indy and the Pats needs to be balanced to stand a chance against Seattle. If they try to keep Brady in the pocket airing it out every down he’ll get killed. The Seahawks will give up yards to this Pats potent offense, but look for them to tighten up once in the red zone. This will come down to the wire this year and neither team will score over 28 points. Seattle and New England rarely play each other, but they did in 2012 and the Seahawks won a close one (24-23). Wilson was great in that game, so you know he’ll be confident heading into this game. Wilson plays with a chip on his shoulder and I love that about him. Seattle had to dig deep and stick together to advance over GB and I expect them to ride that momentum to B2B Super Bowl wins.